For the moment, round is the way to go in the smartwatch world, and there’s a new player on the scene with a circular wearable. 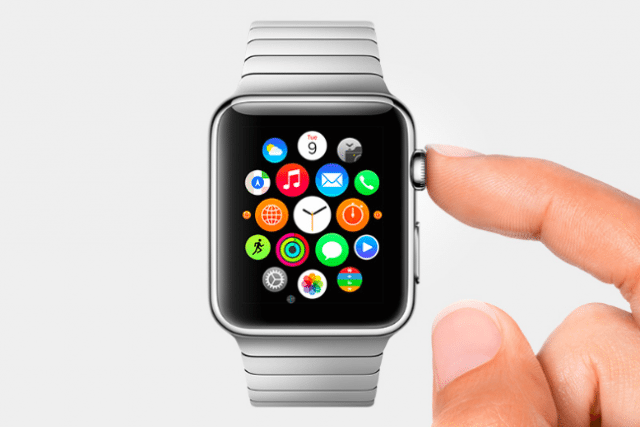 The Omate Rise is a device in need of funding, and it has a few features we think you’ll want to hear about. 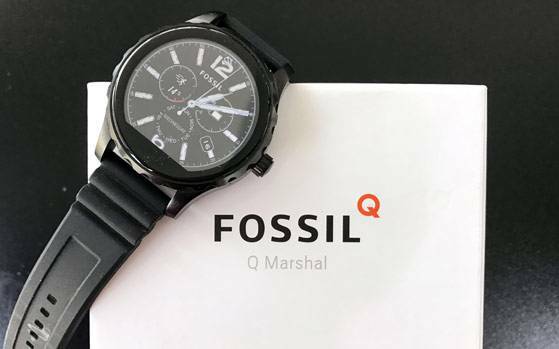 Omate may not be a name you know, but you’ll surely remember them after getting a good look at the Omate Rise Smartwatch. 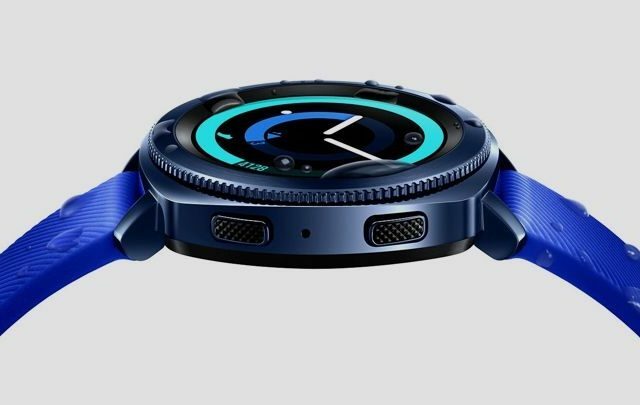 It’s an upcoming wearable with a unique design, so we can actually say it doesn’t look like the rest of the Android watch crowd. Yup, the Omate Rise will run Android, but it won’t be Android Wear as you’ll be getting a full forked version of Android on the watch. As you can see from the photos, the Omate Rise Smartwatch is definitely different with a Carbon Fiber bezel and Polycarbonate case. The 22mm straps are interchangeable as well in case you want to opt for a different look down the road. As for the innards, it carries similar specs to other wearables in its class with a MedaiTek MT2601 and 512MB of RAM powering the show. The 1.3-inch touchscreen is protected with a Sapphire coating and sports a resolution of 360 x 360 while the storage capacity is listed at 4GB. 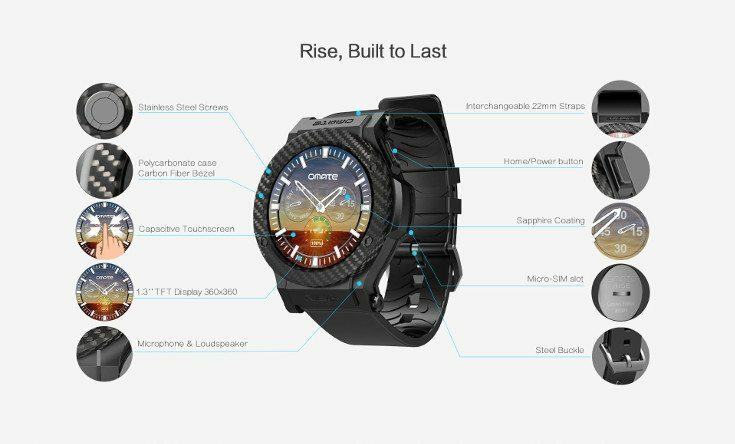 While the specs may be on par with the rest of the pack, the Omate Rise Smartwatch also has 3G connectivity to go along with Wi-Fi, Bluetooth 4.1, GPS, microphone and speaker. You’ll be able to make and take calls from your wrist ala the Gear S2 4G or LG Watch Urbane LTE edition, but at a fraction of the cost. Throw in a 580mAh battery and Android 5.1 with Omate’s custom OS and you’ve just met the Omate Rise smartwatch. Did we mention it uses a regular SIM card slot instead of the e-SIM? 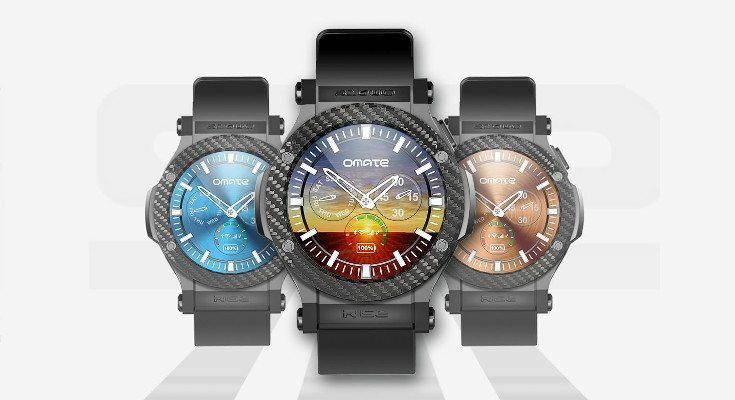 The Omate Rise is gearing up for a run on Indiegogo, and it’s campaign will begin on December 7th at 10 AM EST. The first 500 units will go for $199 and come with a heart-rate sensor chest belt with the next 500 going for $209 before going up again to $219. That said, it’s a “limited” campaign, so it’s only good for 48-hours if you’re interested in picking up the Omate Rise. Samsung Gear Sport release date announced!